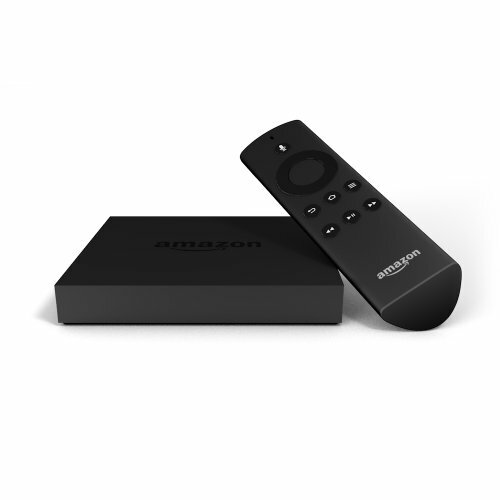 Amazon has recently launched Amazon Fire TV, a streaming player. Amazon Fire TV is slick, small and gives you access to thousands of shows. Last year, Amazon introduce the Kindle Fire HDX, a lightweight, portable Android tablet. It has all the amazing features of the Kindle Fire HD plus some revolutionary changes. The company is pairing the streaming player with the Kindle Fire HDX 7 for $249. Sold separately, Amazon Fire TV costs $99, and Kindle Fire HDX 7 costs $229. Buying the bundle saves you $79, but is buying the bundle worth it? Here is an honest review of Amazon Fire TV and the Kindle Fire HDX Bundle. What comes with the Amazon Fire TV and Kindle Fire HDX 7″ Bundle? 1 What comes with the Amazon Fire TV and Kindle Fire HDX 7″ Bundle? 1.2.1 What are the pros? 1.2.2 What are the cons? 1.3 Do you need a streaming device with your tablet? One of the fascinating features of Kindle Fire HDX and Fire TV is the second screen feature. People can fling whatever is on their Fire HDX onto the Fire TV box. For example, if you are looking at pictures on your Fire HDX, you can easily transfer them to your television with a gesture. The same feature applies for movies and TV shows. Your Kindle Fire HDX can act as a remote for the Amazon Fire TV. This feature allows you to share anything you want with your family, because it mirrors your Kindle Fire HDX screen onto your family’s television. Amazon Fire TV also features X-ray, a feature powered by IMDB. X-ray is a fun way to watch television. It gives you trivia and facts about whatever you are watching. Have you ever watch a show and kept trying to figure out the name of the actor who plays the character? With X-ray, you will never have to wonder. It is right there for you to read. Amazon Fire TV is a 1080p streaming media device that gives you access to over 200,000 movies and TV shows. You can use it watch shows via apps such as Netflix, Hulu, Showtime Anytime, Amazon Prime, etc. If you want to find your favorite show on one of the apps, Fire TV features a voice search. Just say the name of the show, and it will search the apps to see what app offers your show. Amazon Fire TV’s fast speed is controlled by a quad-core processor with 2 GB of memory and dedicated GPU. All the 1080p videos are accompanied by Dolby Digital Plus surround sound. It also has an HDMI port, USB port, internal WIFI and Ethernet port. The Kindle Fire HDX comes with perfect color accuracy with 1200 x 1920 pixels screen resolution and 323 ppi pixel density. The slim tablet is controlled by a 2.2GHZ quad-core processor with 2 GB RAM. That means fast web browsing, quick app launches, and no buffering when paired with high speed internet. Dynamic image contrast makes sure you get the best coloring in both indoors and outdoors. The Mayday Button, an on-device tech support services, is one of the biggest changes in this generation of Kindles. You have access to over 100,000 apps from the Amazon app store. This version of the Kindle Fire also comes with an improved battery life. 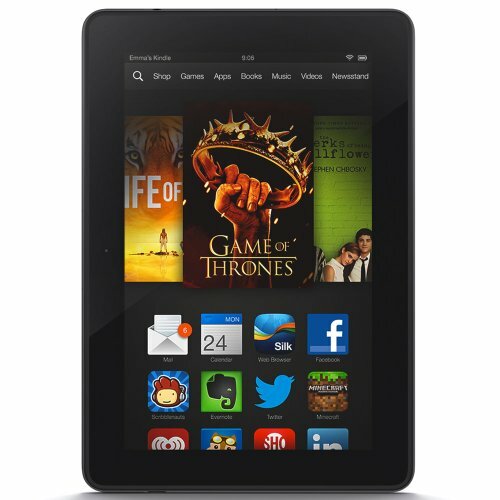 Instead of 4 hours, you can enjoy the Kindle Fire HDX for up to 17 hours. Other key features include the new Adreno 330 graphics processor, custom Dolby audio, front-facing HD camera, Fire OS 3.0 “Mojito”,headphone jack, micro USB port, HDMI port, WIFI, 4G LTE, and Bluetooth. Kindle Fire HDX does not have a rear camera. Therefore, it hard to take pictures on it. There is also no micro SD slot. The Amazon app store does not feature as many games as the Google Play store. Google Play provides apps for every Android tablet except for Kindles. Unfortunately, some games do not come with a Kindle version. The HBO GO is not featured on the Amazon Fire TV. The menu is geared mainly towards Amazon Prime shows. There are plans to incorporate more Hulu shows in the initial menu. Do you need a streaming device with your tablet? The Amazon Fire TV is more than a streaming device. It is your Kindle Fire HDX connected to your television. All the games and apps you use on your tablet can be brought to your TV screen. It is a one of a kind way to experience technology. Also, Amazon Fire TV is less expensive than a Smart TV. It can work on your existing television, and with the Kindle Fire TV and HDX Combo, you can get it for only $20. What do you have to lose? Amazon Fire TV and Kindle Fire HDX 7″ Bundle offers cutting edge technology, and some people will argue that the Kindle Fire HDX is the best tablet on the market. With this bundle, you are taking your kindle experience to another level by syncing your Fire HDX with Fire TV. The price of this bundle makes up for the few cons that comes with both gadgets. Also it’s an awesome gift idea for you Daddy upcoming Father’s Day.